At Conestoga Tile, we believe it’s our duty to never stop learning in order to improve. Through the online tile training programs below, we try to bring our dealer and installation partners the most current product and installation training programs so they too can fulfill their endless pursuit of knowledge in their craft. Be sure to check out some of the hands-on training opportunities as well. Want better trained salespeople in your floor covering store? Are you a professional designer looking for more knowledge on how to select and specify tile? 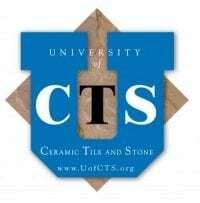 This is an excellent on-line training coarse for anyone new to the ceramic tile industry or just wants to brush up on the latest technology. Learn everything from the history of ceramic tile, how it’s manufactured, installed and cared for. Help you customer select the appropriate tile for their installation and avoid problems and false expectations. If you're selling stone, this is a must!!! Schluter’s E-Learning is an effective educational platform that allows you to learn at your own pace, from anywhere, at any time. LATICRETE UNIVERSITY presents vital industry and product information in short, easy segments that can be taken at any time, 24-7. You can learn about new products and industry standards right away without the delay of waiting for a scheduled event or for a representative to visit your location. You listen to and observe a short tutorial. You take a short test that will measure your knowledge retention. Explore ARC’s YouTube channel where they have very informative videos on the installation of there barrier free shower pans TruDEK (formerly known as Tuff-Form ) and Mullen. A new feature in the spring of 2016 is Jeffrey Court University. These are a series of well thought out, professionally produced videos aimed at giving you an overview of the basic design elements of each collection or “chapter” as we all affectionately know them as. Check back often for new videos!! !